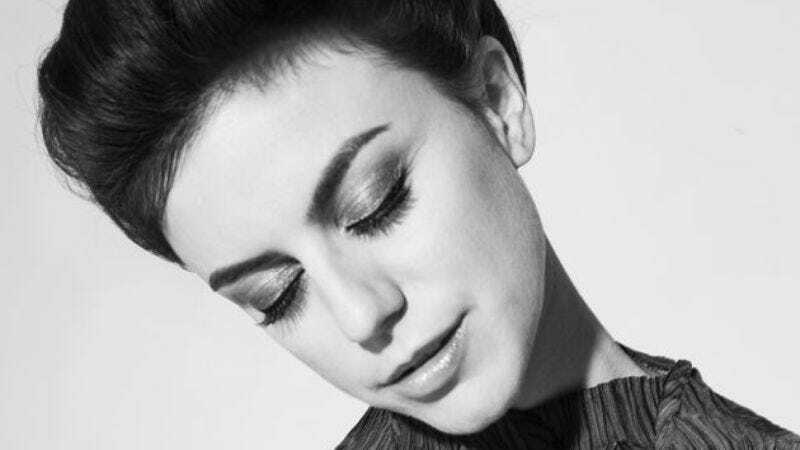 With Angel Deradoorian, it’s not the exact words that matter, but rather the feeling conjured up by her voice when singing them. 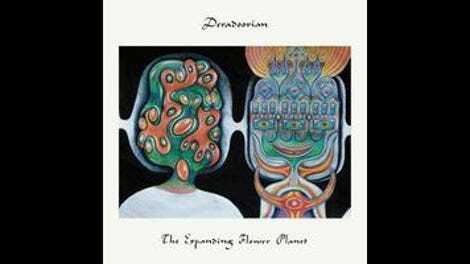 Time and again on The Expanding Flower Planet, Deradoorian’s first album as a solo artist, the lyrics seem to slowly shift into vowels and consonants, leaving clear language behind for something lying just beyond. It’s an ambitious record, and if it doesn’t always succeed, it’s not for lack of effort. She’s striving to get at moods and sensations, not tell stories set to music, and the result is as much a kind of sonic tone poem as it is a collection of tunes. A former bassist and singer with the band Dirty Projectors, Deradoorian’s lovely, clear voice has been heard in music from Flying Lotus, Slasher Flicks, and others. With her debut LP, the singer and multi-instrumentalist has crafted an album that feels like a throwback to the arty jam-band era of yesteryear, while still employing some modern flourishes. The main point of reference in a number of these tracks is the experimental krautrock group Can, with that band’s minimalist beats and fusion of pulsing electronica and instrumental drone popping up throughout The Expanding Flower Planet. But there are strong elements of East Indian and traditional Japanese music as well, harnessed to a psychedelic vibe that animates the entire project. Despite most songs consisting of little more than a simple drum beat, bass, and some synths buffeting Deradoorian’s soaring and layered vocal tracks, it wouldn’t be accurate to call the arrangements spare. Rather, the music swells out to create a spacey aural stew from just a few ingredients. “A Beautiful Woman,” the album opener, finds Deradoorian at her most Can-esque, all drums and bass, with the addition of a creaky organ creating the vibe of an abandoned haunted house. This sense of a foreboding but intriguing darkness runs through the similarly repetitive “The Invisible Man,” as her multiple Eastern-influenced vocal melodies blend and intersect one another to make for an ominous tone greater than the sum of its parts. Songs like “Komodo” and the title track showcase more overt influences, from the Japanese strings of the former to the tribal backing vocals of the latter. These are sparse, primal concoctions, but they retain a warm and inviting atmosphere. A simpler way to say this would be to announce that The Expanding Flower Planet is a very drug-friendly album. “Violet Minded” drives this impression home with a meandering, rolling rhythm and music that launches into an amiably retro nod-along, like it’s the soundtrack to a San Francisco happening at the tail end of the Summer Of Love, powered by potent hallucinogenics. Lyrics about dreams, nature, and “the purple Monday eye” suggest that Deradoorian has made an album that will do in a pinch, if you need a less chemically induced way to trip. “Your Creator,” one of the few tracks that conjures a more contemporary feel, still offers more spare, thudding beats, set to a vocal melody that’s practically a schoolyard chant in its sing-song nature. Mostly, this formula works, as the swirling vocals and basic beats maintain a mood of wonder and trance-like meditation. Sometimes, it can be a bit much; codas are drawn out too long at points, and “DarkLord,” a three-minute repetition of strings and simple words, sounds like nothing so much as Deradoorian building a track from a sample of musicians getting into tune—a weak foundation for a song. But the missteps are few. Fans of minimalist beats, layered and lovely vocals, and a general appreciation for stoner krautrock vibes would do well to seek it out.